General Contractor: Arco National Construction Company, Inc. 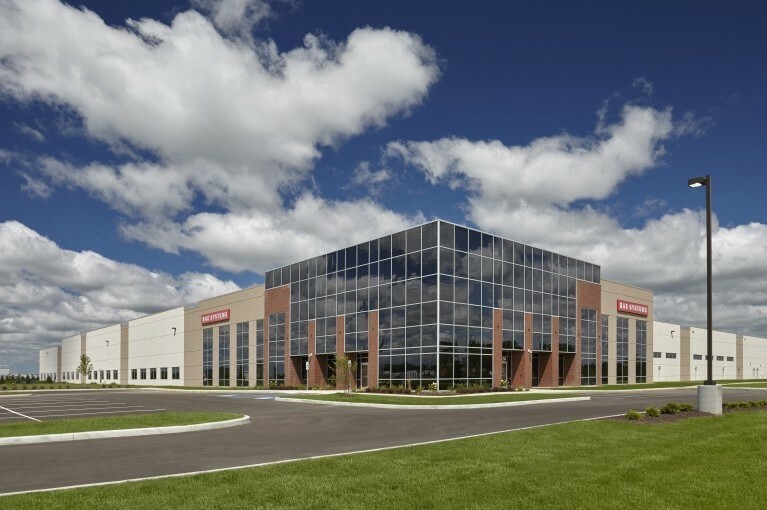 The development and manufacturing facility for BAE Systems required precise temperature and humidity, maintaining the temperature between 72-75F while keeping the relative humidity between 30% and 60% year-round. 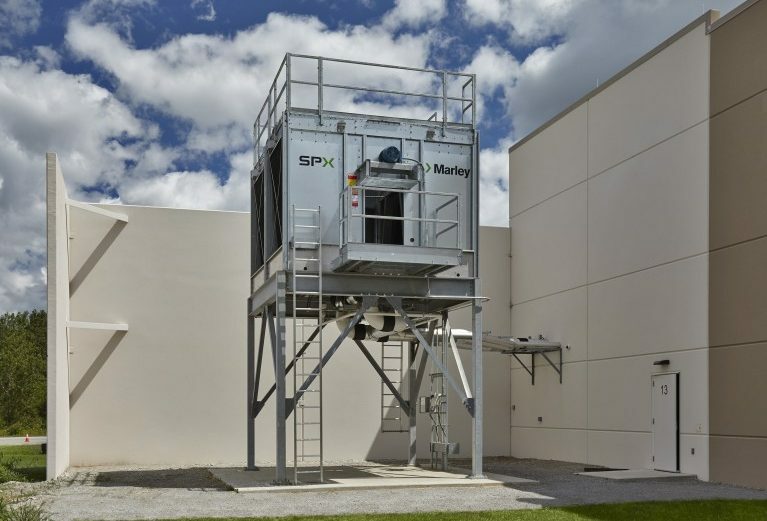 This was accomplished using packaged rooftop units and 100% outside air make-up air units with evaporative media for humidity control. 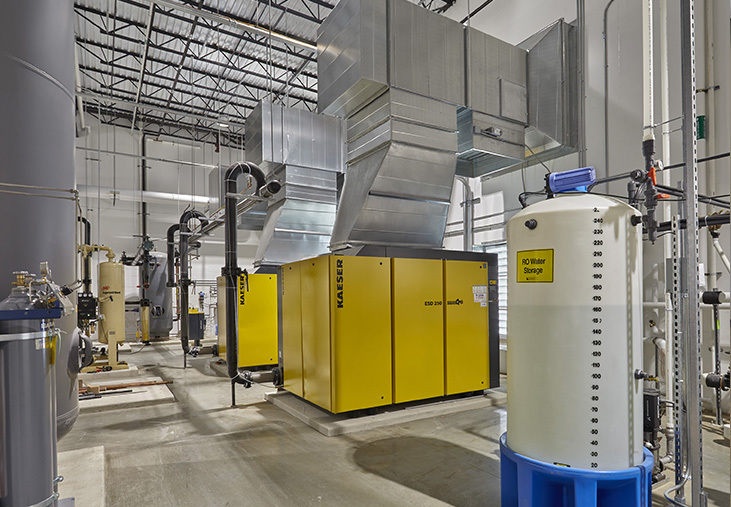 This facility has a large process that requires cooling water to allow the equipment to operate within temperature tolerances. The production equipment also required gaseous nitrogen, liquid nitrogen, compressed air, hot exhaust air, chemical exhaust air, all of which posed unique design challenges. 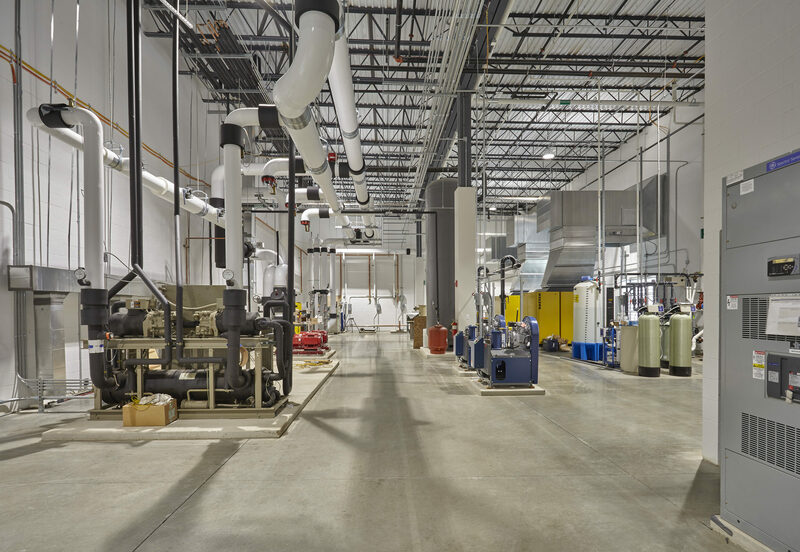 An additional challenge was designing a duct and piping distribution system that allowed for ultimate flexibility to accommodate changes to production in the future such as moving equipment based on production demands. 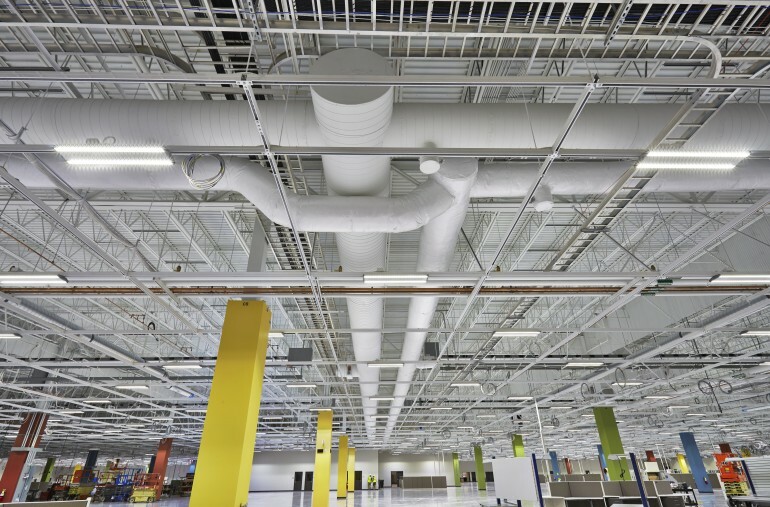 Precise temperature and humidity requirements make energy savings a challenge. 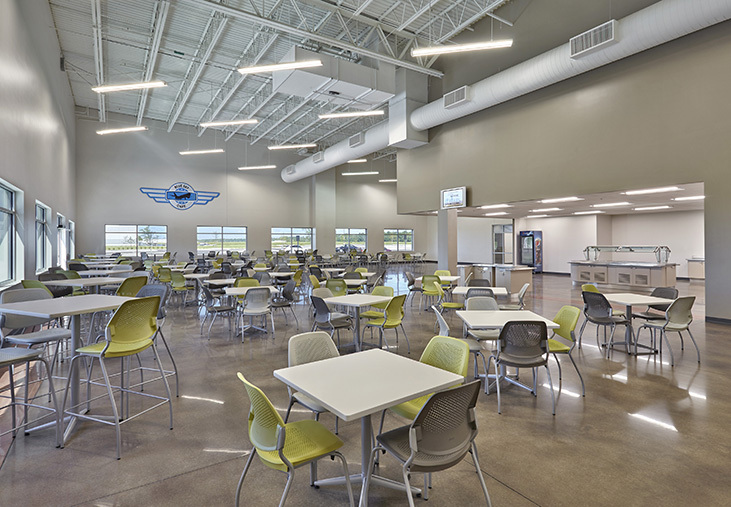 However, HVAC systems were selected to minimize energy usage via the use of VAV systems, evaporative media and a Delta Controls Building Automation System.